New Apple TV box reportedly won't support 4K | What Hi-Fi? A new Apple TV box is likely to be noticeably more expensive than the existing unit and will offer voice control and a new interface - but won't support 4K video. Next week's Apple event is likely to reveal new iPhones and also a new Apple TV set-top box but the latest reports suggest this box won't support 4K Ultra HD video. While it will get a serious spec boost in the form of the A8 chip used in the iPhone 6, a refreshed user interface, an app store and voice control courtesy of Siri, the usually reliable 9to5Mac reports that 4K video support is likely to be a missing feature. Despite this, the new Apple TV streaming box is likely to cost $149 (£97), despite the existing Apple TV box currently being on sale for $69 in the US and £59 in the UK. 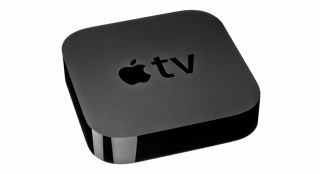 As a result, it's suggested the exsiting Apple TV box will continue as a budget option. The new Apple TV is likely to come with 8GB or 16GB of internal storage, run a version of the new iOS 9 operating system, and come with a new-look remote that supports touch and motion control. Siri voice control, which is trailed on the invitation as a key theme for next week's Apple event, will also be deeply embedded in the new Apple TV experience. It's likely the connections will remain the same, with HDMI and digital optical outputs. All is set to be revealed from 6pm UK time on Wednesday 9th September.